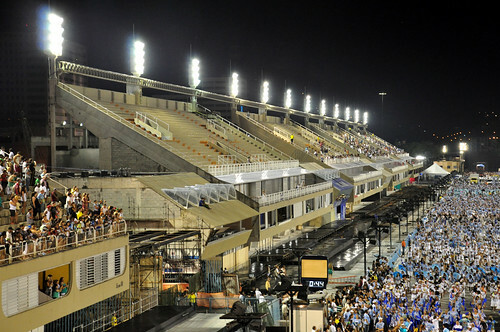 Bem-vindo ao Sambódromo! 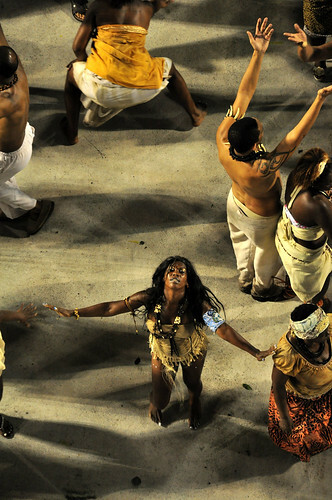 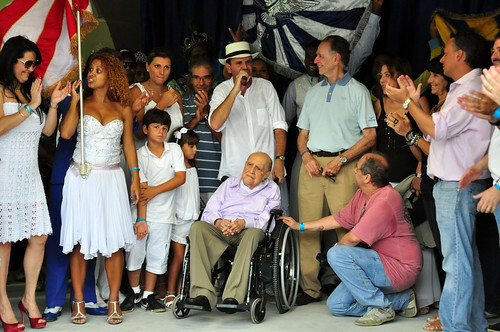 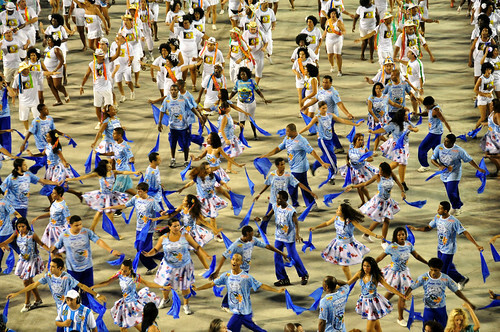 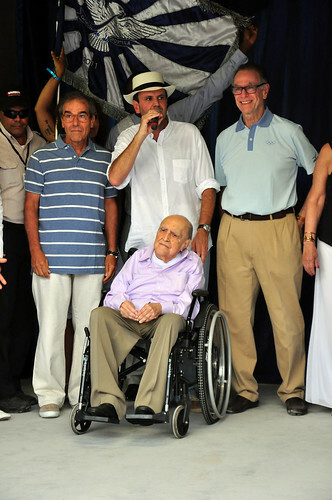 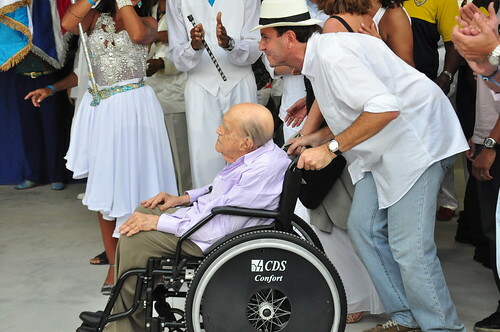 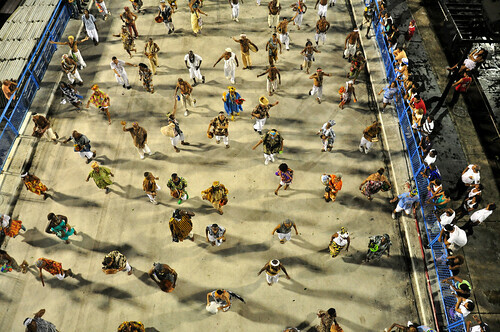 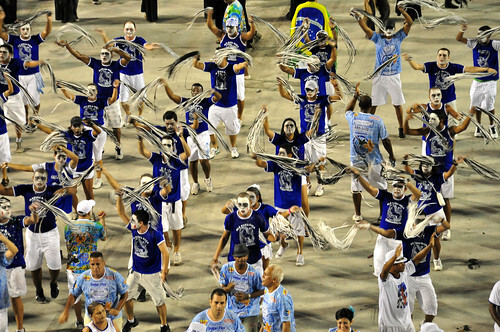 Welcome to the Sambadrome Marquês de Sapucaí, home of the Rio Carnival Sambadrome Parades! 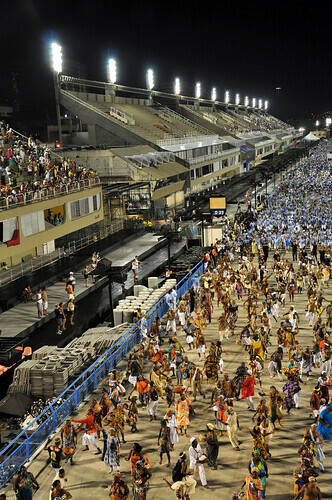 The Sambadrome, or Sambódromo in Portuguese, is a purpose-built stadium constructed specially to host the annual parade of Samba Schools each year during the festival of Carnaval in Rio de Janeiro, Brazil. 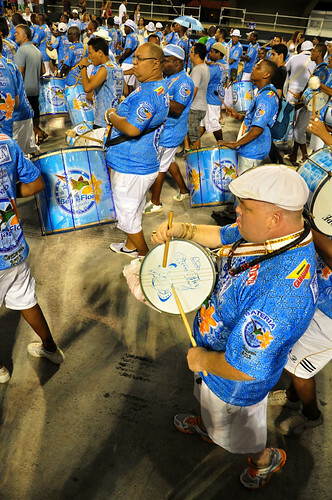 The Rio de Janeiro Sambadrome is comprised of free-standing individual structures for spectator viewing, called sectors, which sit on both sides of a long alleyway down which the Samba Schools parade. 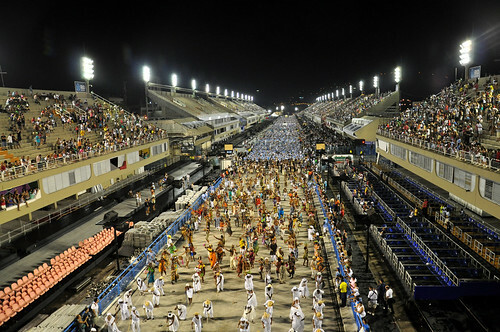 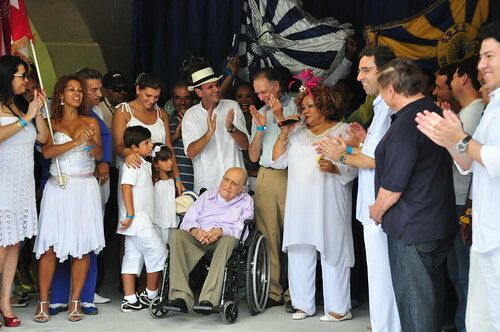 A few days before the big event, the Carnival runway is painted white in preparation to host a dazzling spectacle of rhythm and dancing as the members of Rio de Janeiro’s most elite Samba Schools strut their stuff down the 13 metre wide and 700 metre long (roughly half mile) stretch of the Passarela Professor Ribeiro Darcy. 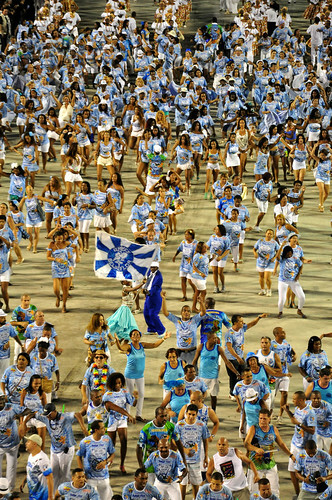 At the end of the parade route is a complex called Praça da Apoteose, or Apotheosis Square, which is made up of a set of bleachers that create a square in which parade participants can celebrate, gather and take off their magnificent costumes as their school’s procession comes to a close. 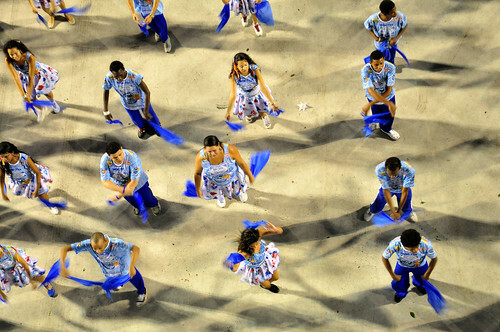 Explore the Rio de Janeiro Sambadrome in detail on Sambadrome.com, from its inauguration in 1984 to the recent renovations. 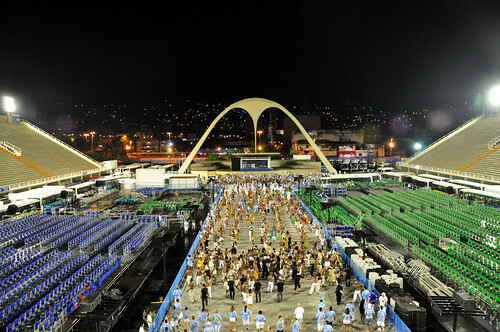 Learn about the structure of this magnificent venue, designed by its mastermind, the world-renowned Brazilian architect Oscar Neimeyer. 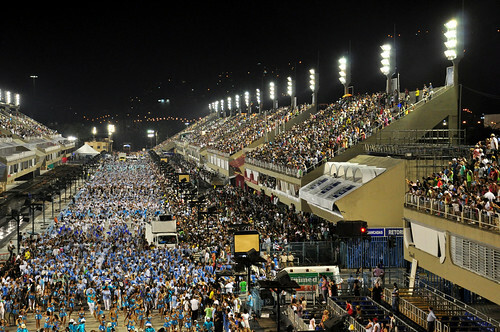 Acquaint yourself with the various options for Rio Carnival tickets, from the Camarotes or Luxury Box Suites, to the bleachers of the Arquibancadas, or Grandstands, to the Frisas or open air boxes on the same level as the Samba runway. 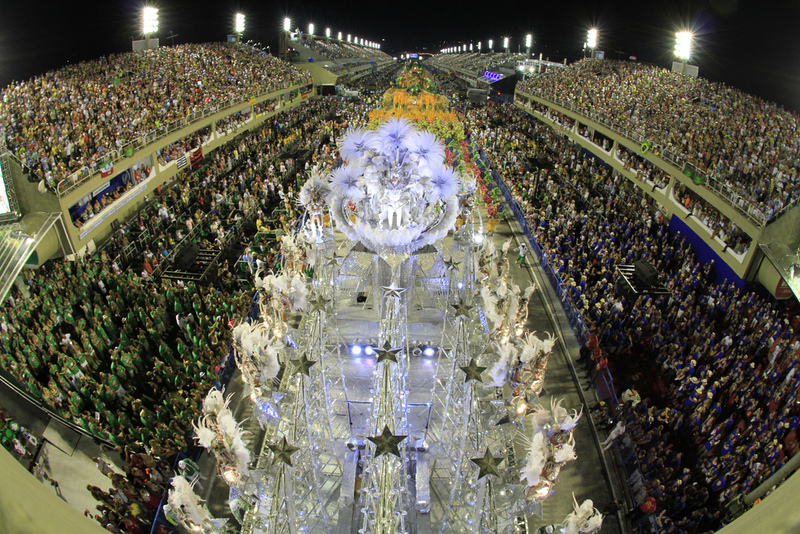 The Sambadrome is a magnificent venue for a marvelous city that was specially designed with the spectator in mind. 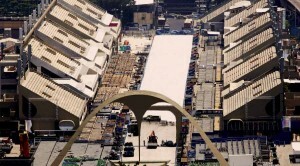 The unique design is ideal for parade viewing.